On Tuesday 27 November at 5.30pm Westminster Cathedral hosted a Mass to commemorate the 25th Anniversary of the Beatification of the 85 Martyrs of England and Wales. 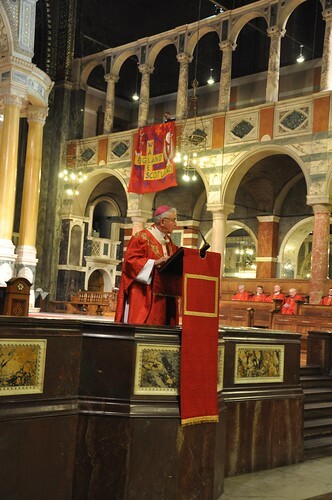 The Mass was celebrated by the Most Rev Vincent Nichols, Archbishop of Westminster, and concelebrated by the Auxiliary Bishops of Westminster: Alan Hopes, John Arnold and John Sherrington. 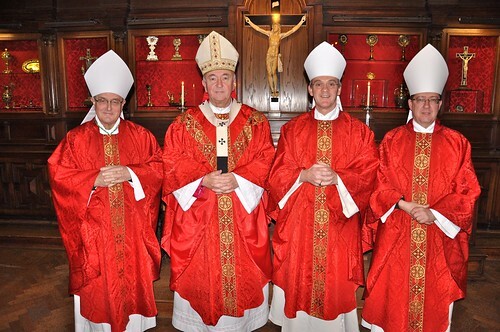 Joining the Bishops of Westminster Diocese were Bishop Moth, Bishop-in-Ordinary to HM's Forces and Monsignor Vincent Brady, representing the Apostolic Nuncio, Archbishop Antonio Mennini. The 85 Martyrs of England and Wales were a group of men, both clergy and laity, who between 1584 and 1679 were executed on the grounds of treason and related offences because of their Catholic Faith. They were a highly varied group aged between 24 to 80 years old and held all manner of different standings in society. During his homily Archbishop Nichols spoke of the importance of their sacrifice and talked of“Their suffering and deaths, in the prisons and on the scaffolds of England and Wales, again put flesh on the words of the Gospel...the Church in England, Wales and Scotland has drawn inspiration from these martyrs and continues in love of the Mass and in faithful adherence to the Bishop of Rome". Archbishop Nichols also reminded us of their humanity “all lived in our land, walked the same streets, under the same sky and appeared to their friends and neighbours as perfectly ordinary people". In this, he stressed, they challenge us all by demonstrating how holiness can be achieved by us all. 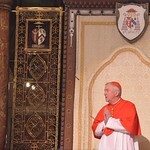 For further photos of the Mass to celebrate the anniversary of the 85 Martyrs click here.